CHECHESMITHNATION : Solange In Davidlaport Futuristic Outfit! 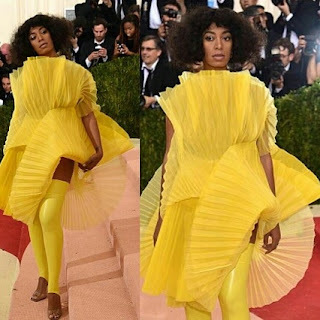 We know Solange Knowles, to always bring on the drama at the red carpet. She rocked this canary yellow geometric number.